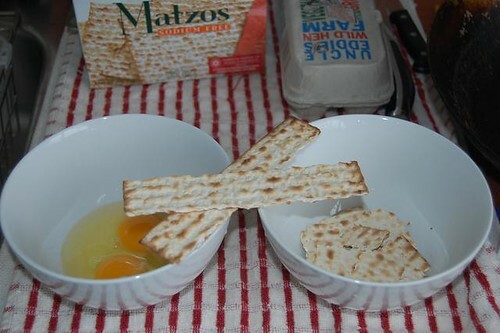 Passover is almost over but here is something you can do with all that left-over matzah (if you can still stand to look at it). Matzah (or Matzo) Brie is a passover version of french toast using matzah instead of leavened bread. 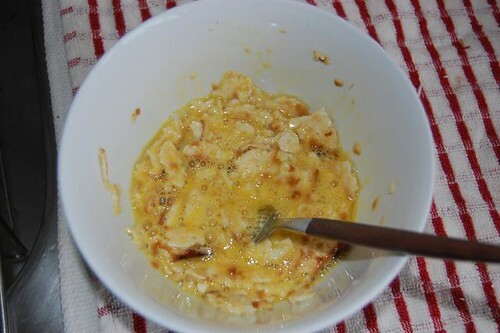 I consider it to be more of matzah scramble. 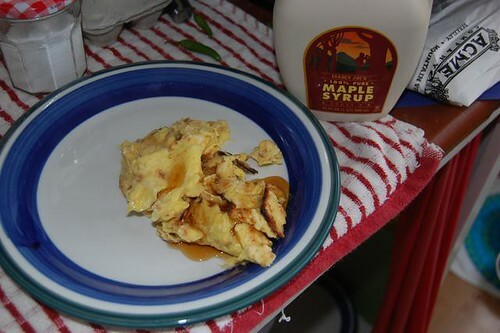 It is very fast to make and is a great maple syrup vehicle. 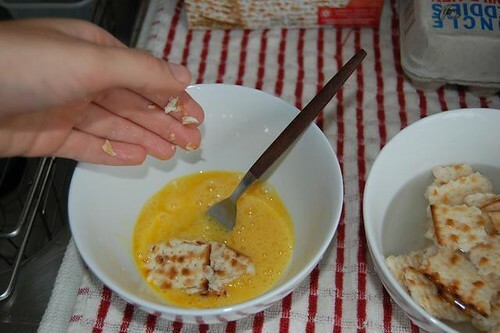 So go buy a box of matzah on sale at the supermarket and get cooking! 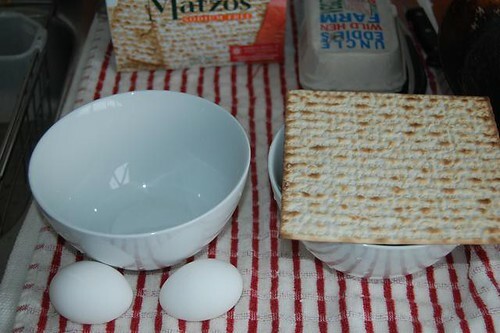 crack the eggs and break up the matzah. Matzah breaks easily into strips and those strips can be broken into bite sized pieces. 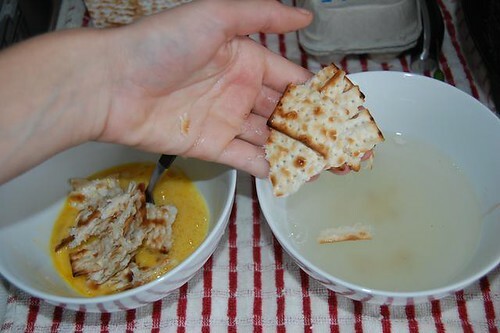 Soak the matzah in warm water for ~30 seconds. 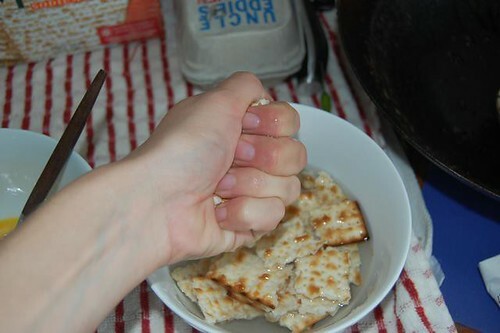 If you want it crunchy then soak less time, soak longer for softer matzah. Beat the eggs as if you were going to scramble them. 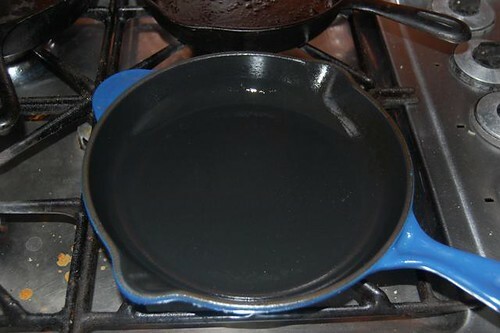 While the matzah soaks, turn a frying pan onto egg c00king temperature. I like medium-low. 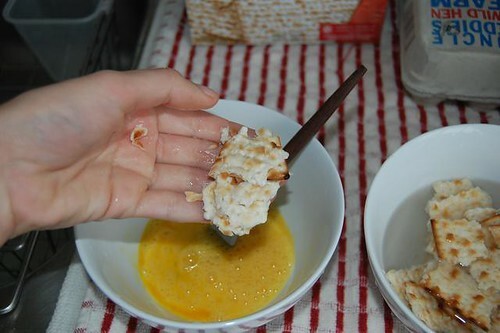 When the soaking time is up grab a handful of matzah and squeeze out the water and add the handful to the egg mixture. Repeat till the matzah is all de-watered. 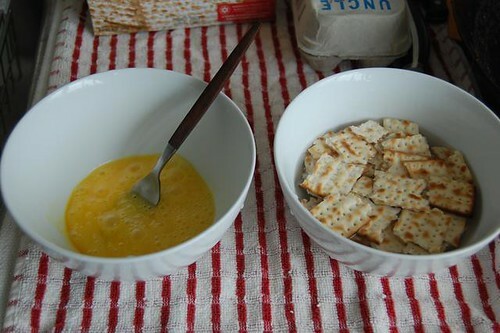 Mix egg and matzah together. Add salt as desired. 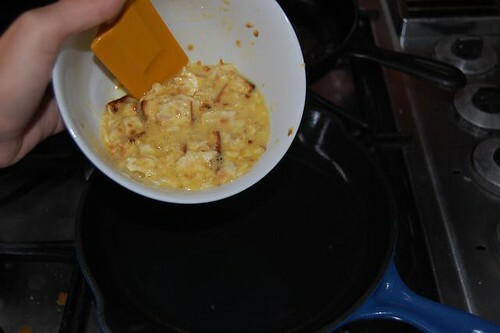 Once the pan is hot enough add some oil or butter and the egg-matzah mixture. 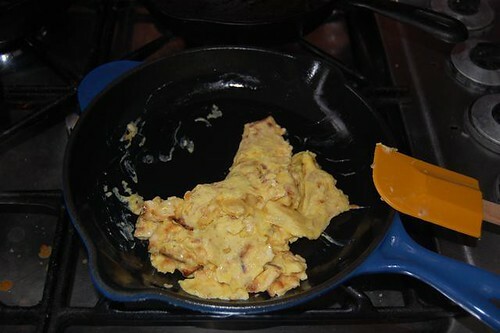 Cook like scrambled eggs.